Our Best Dungeon tournament continues with two new titles. As Death Mountain and Eagle’s Tower duke it out in yesterday’s poll, the winning dungeons of Spirit Tracks and Skyward Sword step into the fray. In a very smart move, the Zelda team took complaints aimed at Phantom Hourglass‘s Temple of the Ocean King to heart when constructing its successor in Spirit Tracks. Where the Ocean King’s temple’s layout was seen as tedious and frankly not fun by many fans, the Tower of Spirits improved upon almost every aspect set up in the prior game. Progressing further into the tower was fulfilling, the puzzles were inventive, and the teamwork with Phantom Zelda was a complete blast. The Ancient Cistern was the standout dungeon of Skyward Sword, earning a healthy victory in our Round 0 poll. The cistern is especially effective in its atmosphere and presentation, drawing influences from Buddhism and other eastern mythologies. This dungeon tells a story; like the classical Buddhist tale The Spider’s Thread, Link travels deep into the bowels of the earth and climbs his way back up from a single strand of rope. 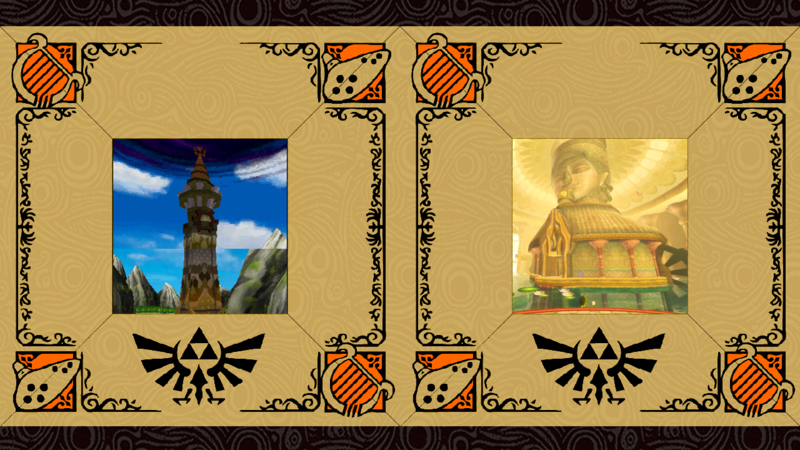 The architecture, the puzzle-box design, and the memorable boss encounter makes this a frontrunner in our tournament.